The $15.9 bln bottom line may have been the best single quarter in corporate history, but it was greatly flattered by the sale of a Japanese refinery. Worse, Exxon’s U.S. crude output slipped and U.S. capex fell by a third. The domestic surge in oil production is passing it by. 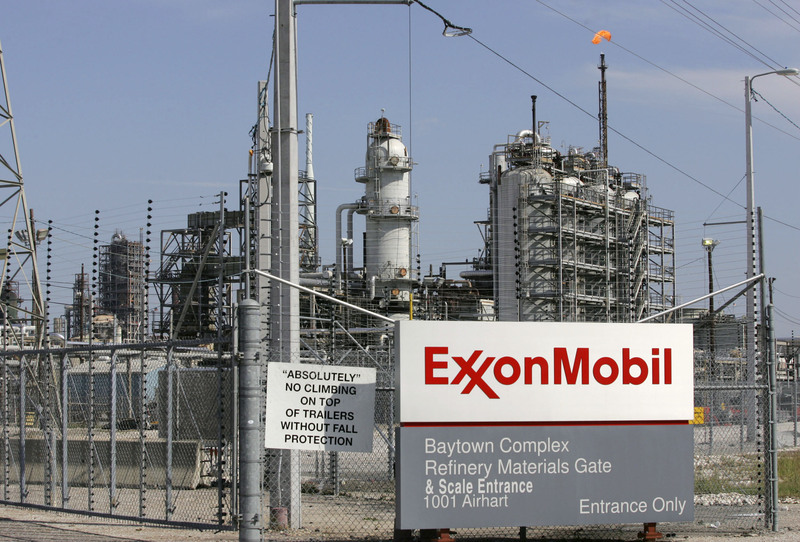 Exxon Mobil, the world’s largest publicly traded oil company, posted lower-than-expected quarterly earnings on July 26 as oil and gas output declined and its chemicals business struggled. Amid lower oil prices, Exxon’s oil and gas output fell 5.6 percent to 4.15 million barrels of oil equivalent per day during the quarter. The Irving, Texas, company reported a second-quarter profit of $15.9 billion, or $3.41 a share, up from $10.7 billion, or $2.18 a share, a year earlier. Excluding a $7.5 billion gain related to the sale of a stake in its Japanese refining and chemicals business, and tax items, it earned $8.4 billion, or $1.80 per share. The average forecast of analysts was $1.95, according to Thomson Reuters I/B/E/S. Exxon’s crude production in the United States fell to 419,000 barrels a day in the second quarter from 429,000 in the same period last year.